There has been more than bluebonnets popping up around Austin this spring. Three developers held grand openings in April and May for apartment complexes funded in part by affordable housing bonds. One of the projects has been more than six years in the making. On Saturday, May 19, Chestnut Neighborhood Revitalization Corporation officially opened The Chicon. 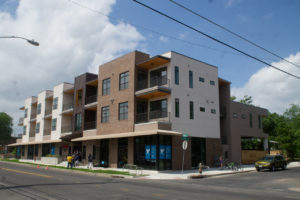 The development located in East Austin at 13th and Chicon consists of two mixed-use buildings containing 28 single-family units, with a third building on the way. Twenty-one of the units are designated as affordable for home owners making less than 80 percent of the area’s median family income. Most of the condominiums have already been sold and move-ins will begin this week. At the grand opening, Chestnut NRC’s volunteer board president Sean Garretson reflected on the six-year ordeal the nonprofit experienced trying to secure funding for the The Chicon. “There were several points in the past six years where we really reached the point of either fish or cut bait, and we decided to fish,” said Garretson. “And so, here we are.” The list of funding partners includes Frost Bank, Texas State Affordable Housing Corporation (TSAHC) and Texas Capital Bank. The Initial $4 million in funding came from the City of Austin through the 2006 affordable housing bonds and the Housing Trust Fund. Those funds helped purchase the land, which deed-restricted as a 99-year community land trust. The first two buildings of The Chicon, the Joyce and the Gibbs, have been named after iconic figures in East Austin’s history. 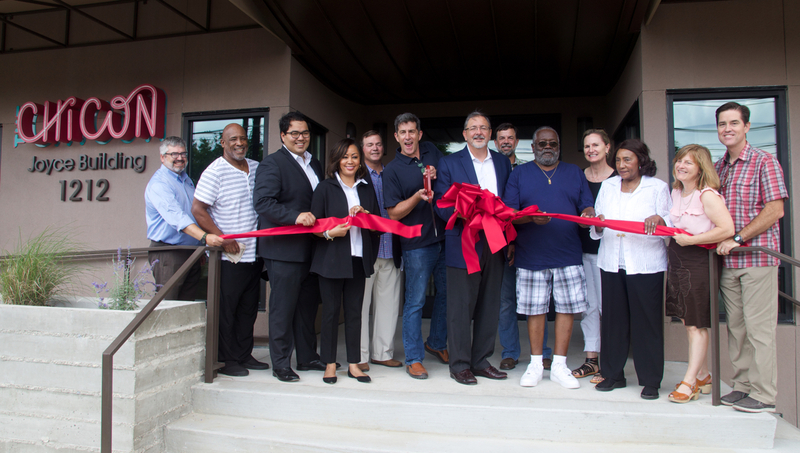 Tuesday, May 1 saw the grand opening of Cardinal Point, the newest affordable housing community built by Foundation Communities located in the Four Points area of northwest Austin. After speeches from Foundation Communities Executive Director Walter Moreau, City Council member Jimmy Flannigan, funding partners and a resident, participants went on a tour of the $27 million property. 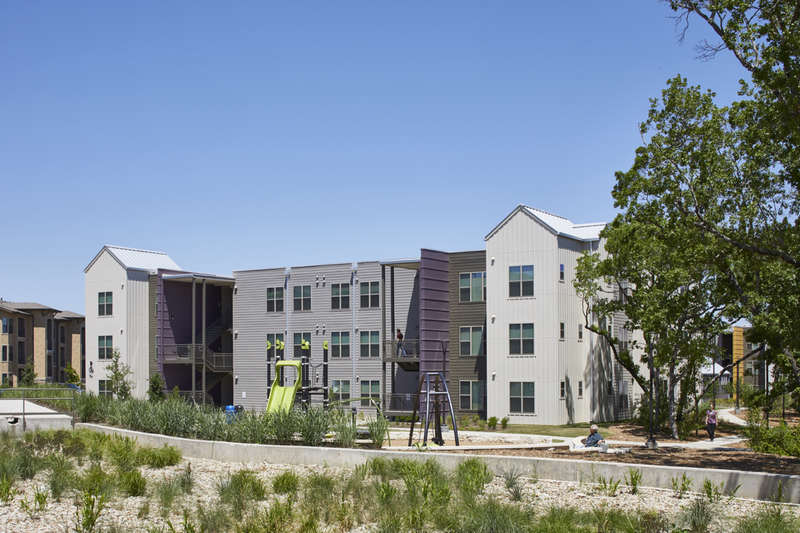 Funding for Cardinal Point came from federal, state and city sources (including $2.8 million from the 2013 City of Austin affordable housing bonds) and private foundations. Cardinal Point is 100% affordable. Its 120 apartments are priced for families or individuals making 30, 40 or 60% percent of the area’s median family income. The residents include formerly homeless families, low-income workers, seniors and individuals with disabilities. It’s built to the highest green standards and includes a learning center where children and adults can take part in free afterschool and educational opportunities. 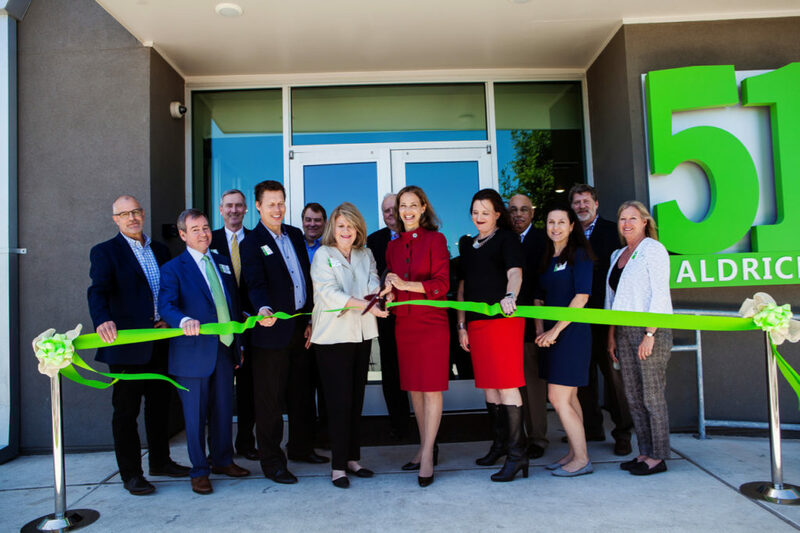 On Monday, April 16, DMA Development Company, LLC and the Austin Housing Finance Corporation (AHFC) celebrated the grand opening of Aldrich 51 at Mueller. Aldrich 51, a mixed-income, mixed-use facility will provide more diverse options to Central Austin’s young workforce families and individuals. This is DMA’s second affordable community at Mueller. 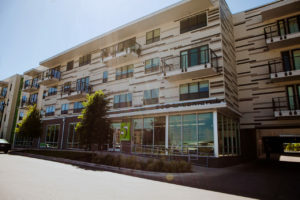 The $40 million project was funded with help from $2 million from the 2013 affordable housing bonds, another $2 million from the City of Austin’s Community Development Block Grant program and more than $10 million in tax credits. As part of the Mueller Affordable Homes Program, 85 percent of the 240 units will serve young families, working couples, single parents and older adults who earn 30 to 60 percent of Austin’s Median Family Income (MFI), which ranges from $16,000 for a single person to $51,500 for a family of four. On-site amenities include a media room, coffee lounge, fitness studio, community room, swimming pool and much more. The four-story community offers studios, one-, two- and three-bedroom units, as well as garage parking for bicycles, motorcycles and cars.